We have extended the due dates for order submission for the palm shortening. We are submitting the first order on July 6th. Any checks that have been received by then will be submitted with this first order. If you don't make it in time, we will submit your order with our second shipment that is due by July 19th. 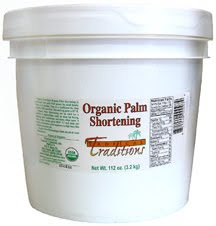 Palm Shortening is $30 per 1 gallon bucket. Please include your email address with your check and I will email you a confirmation once I receive your payment. Please email me at sharon@dfwfoodstorage.com if you have any questions. What is the consistency of palm shortening? What does palm shortening taste like? Palm shortening has no smell or taste. What is the self life for palm shortening? The biggest selling feature of this oil is that it has an indefinite shelf life so you don't have to worry about rotating it or it going rancid. How much oil should I have in my food storage? Every adult is supposed to have 2-3 gallons of oil stored as part of their storage program. It should also be mentioned that another huge plus for palm shortening over other vegetable shortenings is that it is solid at room temperature WITHOUT being hydrogenated so it has no trans-fats. Palm oil is very good for you and is the most-used shortening throughout the world (outside of the US). This is a great deal! 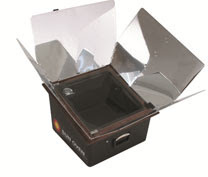 I'm excited to order this and try it out! I'd like to know what the weight is of one pail. Is one pail equal to one gallon? half gallon?